Stability Ball benefits should be the center of conversation when someone talks about physical fitness. The stability ball is a versatile piece of equipment that is used by many personal fitness trainers around the world. It is also known as Balance Balls, Physio Balls, and Swiss Balls. Recent studies show that more coaches, physical education teachers, and athletic trainers are now using the stability ball in their training programs. They know that the stability ball excels when it comes to helping people develop a strong balance and core strength. There’s a strong possibility that these balls will continue to become more popular as time progresses. The stability ball’s popularity has led to the development of new physical fitness programs. These programs are being used to educate people from all walks of life. People are learning that a stability ball has many important applications that should not be ignored. It’s fair to say that the stability ball plays a big role in helping people overcome various physical injuries. Let’s use Europe as an example. In Europe, stability balls are used as chairs in schools. School officials discovered that stability balls help students focus on their teachers. They also discovered that this fascinating fitness ball helps students organize their school work, write better, and concentrate on assigned tasks. Several pilot studies in the United States are now using the stability ball in schools. Within the next few years, there’s a possibility that you may see schools in the states using stability balls in the classroom. It doesn’t take a brain surgeon to see that the stability ball is one of the most versatile pieces of equipment around today. Fun and extremely easy to use. It’s also important to note that it’s also inexpensive and productive. Researchers have discovered that the stability ball stimulates the neuromuscular system. It’s extremely difficult to find another piece of fitness equipment that does this. Let’s look at several neuromuscular system responses to the stability ball. 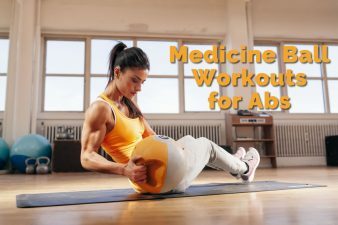 Experienced therapists with an athletic background found out that the stability ball can help athletes get into better shape, and it can also help them do better in their respective sport. It’s not unusual to see stability balls in strength facilities. Many popular professional athletes have stated that the stability ball has raised their athletic talent. Let’s look at amateur and professional boxing. The stability ball has helped many amateur and professional boxers hone their skills for the ring. This is the primary reason why you see many boxing trainers have their fighters use the stability ball during training camps. As the stability ball became popular, it found its way into major physical fitness conferences. Exercise professionals held demonstrations and educational clinics. Personal trainers attending these conferences began to see how the stability ball could help their clients. At the end of the day, you have to credit these personal trainers for bringing the stability ball into commercial training facilities. It’s not odd to see at least one stability ball at a commercial fitness facility. The stability ball has been a huge hit at commercial fitness centers. One could argue that’s the main reason why it is now being used in the private sector. At first, the ball was used for rehabilitation. Now it is now being used as a chair in schools and in business offices. We cannot overlook the fact that it is also being used for flexibility training and strength training. Stability ball benefits have been established by leading medical researchers and physical fitness experts. One could say that the practice and science behind this phenomenal ball go beyond anecdotal observations. Stability exercise balls have become extremely popular within the clinical rehabilitation industry. Due to their versatility, they have also become popular outside rehab settings. As we stated earlier, these balls help people develop their balance and core strength. Stability ball benefits have helped it earn an important spot in functional conditioning and athletic training. 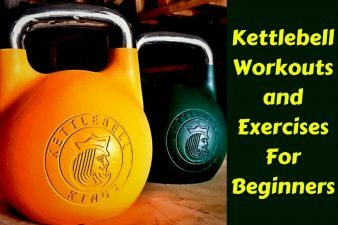 Many strength and conditioning experts around the globe have created their own stability ball exercise program. In short, your imagination is the only thing that limits your use for the stability ball. Choosing a stability exercise ball is not as difficult as you may believe. You should get a ball that will allow you to sit on it with your knees and hips at 90 degrees. Using balls of different sizes will give you more flexibility and options with your training. Here are several recommendations that can enhance your safety and fun while working out with the stability ball. You should wear a shirt at all times. Bodies covered in perspiration will more than likely slide off the ball. This can cause a serious injury, especially if you are working out with free weights. It would be a huge mistake for you to use any form of support for your limbs while training with the stability exercise ball. Limb supports or anchors will disrupt your neuromuscular environment. You should use lighter loads while using external resistance on a standard bench. It’s extremely dangerous for you to use high loads with this form of training. You could injure yourself. Using spotters for external resistance equipment is a bright idea. However, you only need minimal supervision if you are using a light load. The neutral alignment of your spine is essential when it comes to exercising with a stability ball. If neutral alignment is not present, it will be hard for you to get the stability ball benefits. Your neck should not be hyper-flexed. Keep it in a neutral position. I cannot stress how important it is for you to avoid hyperextending your neck while working out. Your body will be suspended in a prone position while working out with a stability ball. 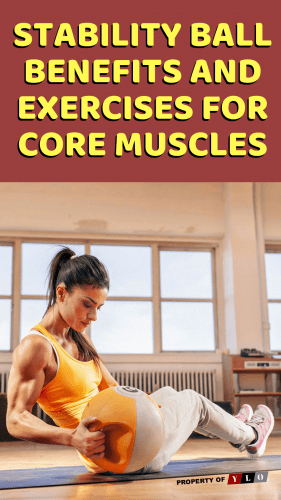 Make sure that your core is capable of maintaining a posterior pelvic tilt. This will protect your spine from hyperextension. However, you need exceptional abdominal and hip flexor strength to do this. The body’s natural motor reflexes are stimulated if you maintain proper alignment while working out with the stability ball. Your body will be encouraged to respond as one unit. Training on a stability ball will challenge your entire body to maintain proper posture and balance. This special type of training will also challenge your body to perform dynamic exercise movements. The stability ball can increase endurance and muscle strength in all your major muscle groups. This dynamic ball can also do following things help you lose extra pounds, improve your posture, improve your balance, improve your flexibility, enhance your spinal stability, restore your flexibility, and compliment your aerobic training program. I must add that the stability ball is great for stretching. Without the aid of the ball, you may find it difficult to get into certain stretching positions. Easy to transport on long trips, and it is also easy to store. The ball can be used anywhere. You can use it at your residence, in a group setting, and in a personal training setting. It’s ideal for people of all ages and walks of life. Maintenance free for a long period of time. Balance is the key to having success with the stability ball. The ball will help you develop good balance, and it will also challenge muscles throughout your entire body. Trying to maintain your balance on mobile and moving surfaces is fun and invigorating. You will gradually notice an improvement in your flexibility, strength, and balance. Stability ball benefits can turn your life around! At first, the stability ball was created for rehabilitation purposes. It is now being used for many different training purposes. 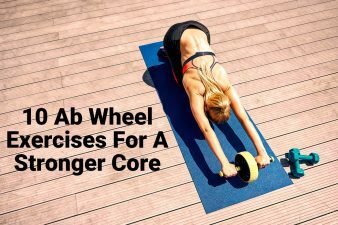 Good core strength, spinal stabilization, and endurance are just three stability ball benefits that you can look forward to getting when you work out with this incredible exercise ball. It’s vital that you adopt a physical fitness program that will challenge your entire body. There are many different types of exercise equipment being sold in the market today. However, many of them cannot compare to the stability ball. The stability ball is reasonably priced, and it can be used anywhere. You cannot say the same thing for other physical fitness equipment being marketed to consumers. If you’re looking for a challenge, you should seriously consider getting a stability ball. It is ideal for your mental and physical health.